Are you a good competitor? In the last two weeks, many of us have watched, listened or read about both the Republican and Democratic National Conventions. Now for each of the chosen nominees for president, the real contest; the real competition begins. Then next week, more than 10.500 athletes from more than 200 nations will compete on the world stage in almost 30 different Olympic sports. So in a matter of three weeks, the opportunity to see competition at its best – and its worst – will have crossed our paths. As I thought about these three major events, it made me really take a good look at competition – the good, the bad and the ugly. When it’s good, competition can take things to new levels, foster creativity and teamwork; it gives rise to innovation and pushes people past the comfort zone to achieve greater things. Pride When it’s bad, it’s divisive; creates hostility and anger; increases stress and deflates team spirit and morale. 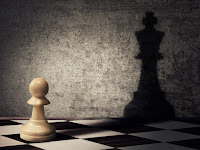 And when it really gets ugly – when it takes on that “win at all costs” and “whatever it takes” – it creates dissension, suspicion and lack of trust; negative energy, name calling, finger pointing; and it can lead to unethical practices and maybe worse. Winning is great whether it’s in politics, sports, our businesses or daily life. But how you win, in my opinion, is even more important. Do you work hard? Do you overcome the obstacles put in your way? Do you follow the rules? Respect your competition? Are you honest? Do you focus on the good in yourself and your team? Or do you try to make your team look good by constantly berating your competition? Do you acknowledge the people who helped you get there? Or is it all about you? As the 2016 Summer Olympics unfold and the Presidential Campaign moves forward – all on the international stage – we will see examples of every kind of competitive behavior just mentioned. It will all be memorable; some of it for the wrong reasons. Think about it. What kind of competitor are you; in your business and in your personal life? What memories are you creating for your audiences? No matter what others may say, I believe it matters – big time. …but I'm not sure you realize that what you heard is not what I meant.” Couldn’t help but think about this quote as I experienced the pomp and circumstance of the Republican National Convention. At a time when communications to gain understanding was so vitally important, this event was a microcosm of everything that could go wrong. Why? Because the same message can mean different things to different people and considering the number of people in attendance, each message could have been interpreted in many, many ways. Aside from the magnitude of the RNC event, it’s the same communications challenge we all face each day. Whether it’s communications to our employees, co-workers, customers, families or friends, we want our messages to be understood. In communications there is a sender and a receiver. Message sent; message received. Seems simple enough, right? It’s not. Along the way, a number of factors affect how the message is received and often, it's not in the way it was intended. That’s when things get disconnected. 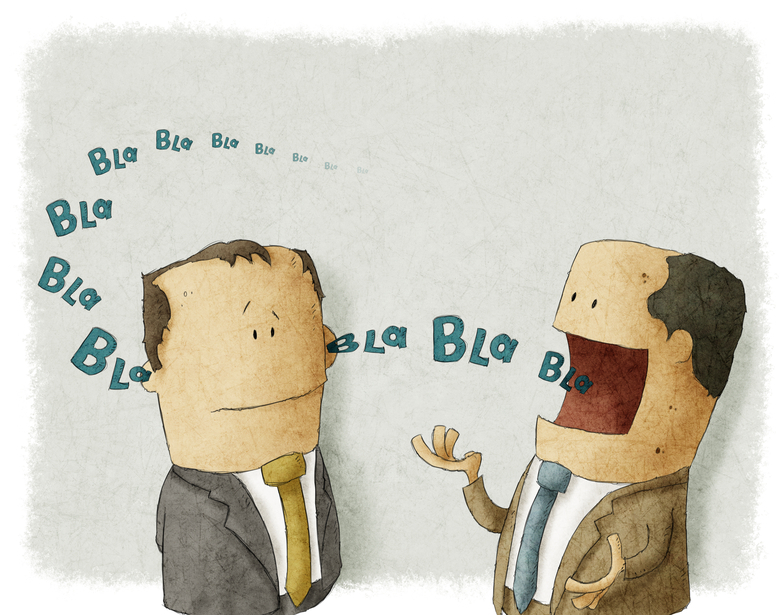 Tone of voice, listening skills, non-verbals, point of reference and expectations are a few of the reasons that people interpret the same message in different ways. For example, if I say to you, “What are you doing?” and my tone of voice was loud and harsh and I looked agitated, you might interpret it much differently than if I asked you the same question using a casual and friendly manner. 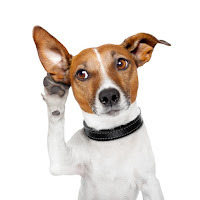 Are we really listening? Everyone wants to talk but how many of us really listen? The consequences to not listening can be costly. Messages are not conveyed properly, misunderstandings increase and in some cases, there's conflict. How about the subtleties of non-verbal communications? The eye roll, the lean-in, the smile, eye contact, the frown, the sigh – all change the way a message is understood or not. What about points of reference? We all have a personal knowledge base of information accumulated from our experiences. If we receive a message that doesn’t fit our knowledge base, too often we try to make it fit and true understanding is lost. See what I mean? Communicating in a meaningful way, where our messages are understood is not something that just happens. It’s a process that when done well, reaps significant rewards. Ever hear that before? Sure you have; we all have. The interesting thing about this is that as frustrated as we may get about being told something repeatedly, it’s how we learn and retain the information. Consider this – one study found that making a point once at the end of a presentation led to ten percent of the audience who would remember it. However, if that point was made six times throughout the presentation, the retention rate would jump to 90 percent. That’s quite a difference. Now let’s talk a little about safety; specifically safety at your workplace. You have a detailed plan, probably some sort of manual that outlines policies and procedures and roles and responsibilities; there are most likely safety posters placed at key spots in the building; maybe you hold monthly safety meetings; maybe you even hold safety drills on a regular basis. Hopefully, your safety program is all of the above and more. Why? Because workplace safety is not a one and done. The more ways and the more times we can get the safety message out to employees, the better chance they will retain the information and what they retain they can put into practice. Repetition creates familiarity and that leads to understanding. Employees are likely to be more diligent about safety practices when they understand them. Repetition is a key method for learning. Ever hear of the Universal Speakers’ Law? It goes something like this: Tell them what you’re going to tell them, then tell them, and then tell them what you told them. If you want to get your point across, this sure makes sense to me. Safety in the workplace is not something that just happens; it is planned, implemented and practiced every day. It has to be for it to work. 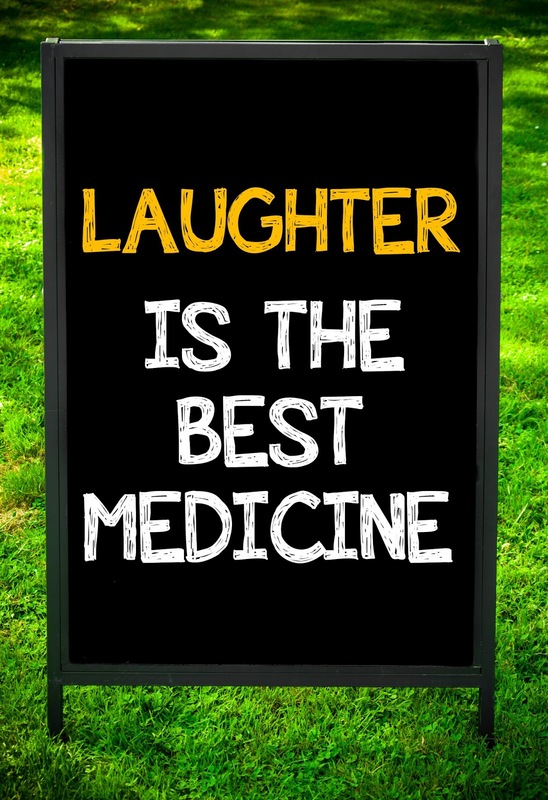 Ever hear someone say that laughter is good medicine? Guess what? They’re right. In fact, the effects of a good, old, rip-roaring belly laugh help you heal emotionally and physically; a two-for-one antidote that’s free, rarely has negative side effects and doesn’t require pages of instruction. It’s a powerful tool in helping us get through stressful situations. So what’s my point? Who doesn’t know that you say? Well, there are a lot of things we “know” that we put aside and tend to forget. It’s easy to forget to laugh when so many things around us aren’t funny. Look at the headlines, listen to the news; not much to laugh about there. Truth be told, there are many times when laughter is totally inappropriate. With those disclaimers, let’s get back to where this blog started. Laughter is good medicine. Driving in to the office this morning wasn’t fun. In fact, most mornings it’s not very amusing. It stresses me out. Between trying to be on time, construction delays, people not paying attention to where they are going, or going too slow or weaving in and out of traffic like they’re at the Indy 500, I get a little tense. My hands clench the wheel, my muscles tense and as much as I hate to admit it, I yell at people. What’s wrong with this picture? Stressing out doesn’t get me to work any faster, it doesn’t make construction go away and by the time I walk in the front door at the office, my blood pressure is a tad elevated. Sitting at my desk and reviewing the whole scenario in my mind, made me laugh. That was a good thing. Laughing helped me put things in perspective, took away the drama and changed my outlook for day. Laughter reduces stress, gives you a new perspective on things and diffuses distressing emotions. It’s hard to feel angry or sad when you laugh. Physically, it helps boost your immune system, lowers blood pressure, stimulates the release of endorphins, releases muscle tension, promotes “internal jogging” with effects similar to exercise and even burns a few calories. One study states that ten to 15 minutes of daily laughing can burn up to forty calories. Whoa! Sign me up! Three cheers for the USA and a great big Happy Birthday! Monday we celebrate the 240th anniversary of the birth of our nation – Independence Day 2016.There will be celebrations of all kinds; parades, concerts, family get-togethers, barbecues, sporting events and fireworks. Practically synonymous with the Fourth of July, fireworks have long been a part of our Independence Day celebrations. As far back as 1777, Philadelphia put together a full day of festivities that included a parade, dinner, music, musket salutes and fireworks. Fireworks are magical; explosions of bright colors, shapes and sounds lighting up the night sky as young and old alike watch in awe. They are the grand finale for the day’s celebrations. Fireworks are also dangerous. There you have it. The other shoe just dropped. Now before you roll your eyes at my keen grasp of the obvious and think I’m looking at the glass half full, think about this: during the 2014 calendar year, fireworks were involved in an estimated 10,500 injuries treated in hospital emergency departments and almost 67 percent of those occurred during a 30-day period surrounding the Fourth of July. Some of these injuries resulted in deaths. 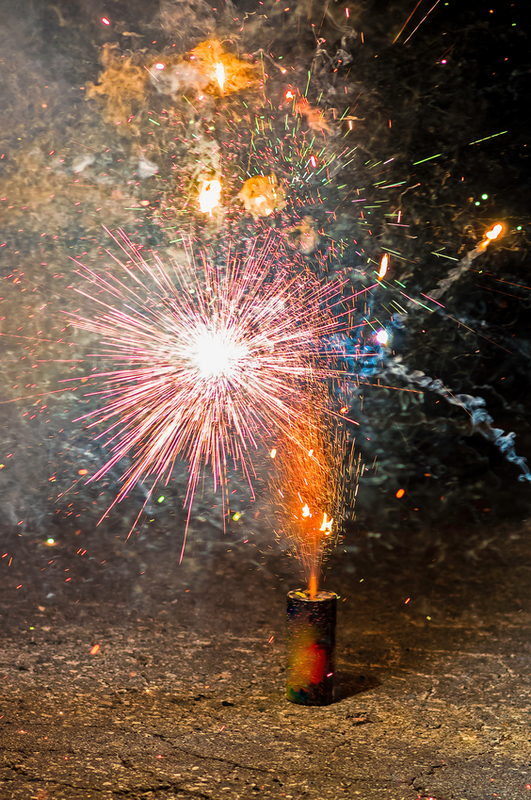 (Consumer Products Safety Commission) And according to the National Fire Protection Agency, fireworks cause an estimated 15,600 reported fires in the U.S. in 2013 resulting in a number of injuries and thousands of dollars in property damage. It’s enough to put a little tarnish on the magic don’t you think? But it doesn’t have to – JUST BE SMART AND BE SAFE! A celebration is no time to cut corners on safety. Remember, it’s only fun until someone gets hurt. Leave things to the professionals. And, amidst all the festivities, please take a few minutes to remember the real reason we celebrate this day – our freedom and all of those who fought and still fight to preserve it.